These may not be the most glamourous of biscuits to look at, but waft one under your nose, and you won’t be able to resist the heavenly aroma of cardamom. They have a lovely crunchy texture too, enchanced by their coating of sugar. Think Kulfi (Indian ice cream) in biscuit form. In a small bowl, whisk together the milk, oil and vanilla seeds (or extract/paste). Sieve the flour, baking powder, sugar, salt and cardamom into a large bowl. Tip any bits of cardamom left in the seive into the bowl. Add the liquids and mix together to form a pastry-like dough. You may need to add a tablespoon or more extra liquid. Cover with clingfilm and rest for 30 minutes at room temperature. The dough will develop a slightly spongey texture (my memory of childhood may be deceiving me, but I always think it’s rather like Play-Doh at this stage). Preheat the oven to 180C / 350F / Gas Mark 4 (adjust for fan oven). 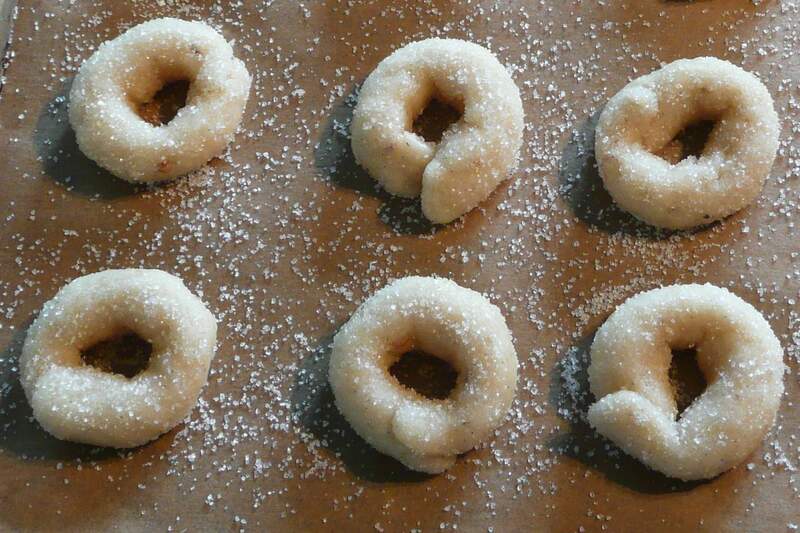 Put a few tablespoons of granulated sugar in a small plate. 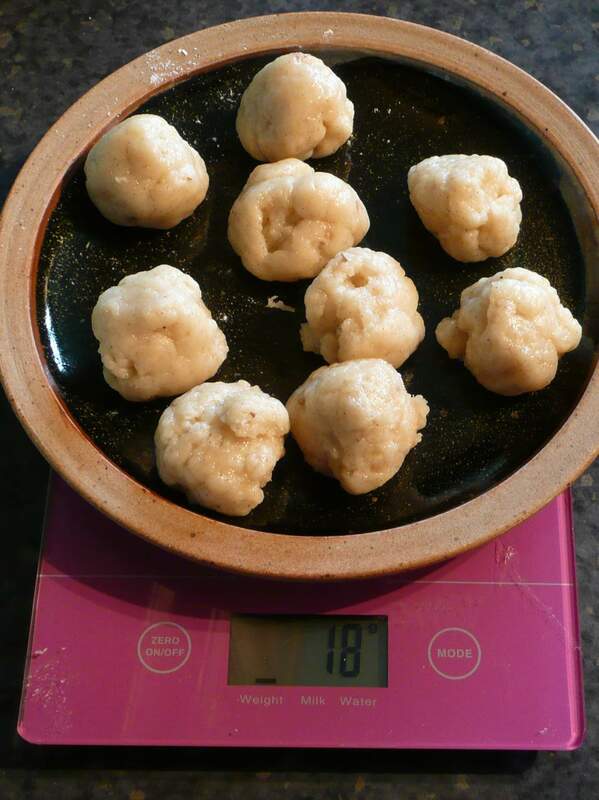 Take 18g pieces of the dough, form them into balls, then roll them out into thin sausages 15cm long. Pinch the ends together lightly to form a ring. Dip top and bottom in the granulated sugar and place about 2cm apart on the baking sheets. Bake for 15 minutes or so, until golden brown. Check half way through, and turn the sheets and swap between shelves if necessary to ensure even browing. This recipe is for Barbara, an Italian living in Sweden, who has a lovely blog, full of great recipes and photos, at My Italian Smorgasbord (a great blog name). 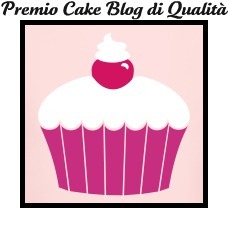 She was recently kind enough to award me the Premio Cake Blog di Qualità (Prize for a Quality Cake Blog). I was touched and grateful that she thought of me. A condition of the prize is that I should list 7 sweet things that have changed my life. At first I thought “no sweet thing could ever have actually changed my life!”, but when I set to work, I realised that at least one really had! So here is my list of memorable or significant sweet things I have known (no apologies for three of them involving pistachios). The pistachio biscuits we bought on our first morning in Sicily, in the beautiful Baroque town of Ragusa. These led me to seek out recipes for Sicilian biscuits and so to buy a copy of Biscotti by Mona Talbot and Mirella Misenti. As a result, I got hooked on making Italian biscuits, earned my nickname of Signor Biscotti, and eventually started this blog, which has been one of the most enjoyable and rewarding things I have done. So yes, life changing! Scottish tablet (a kind of grainy fudge). The first cake I made with my mother. I don’t actually remember that event, but it set me off on a lifetime of baking. The slice of Cassata I had at the Trattoria Biondo in Palermo. Creamy pistachio ice cream at sunset on the harbour front in Nafplion in Greece. Not being able to decide which dessert to have at my civil partnership dinner, and so having all five! Pistachio soufflé at our hotel on Gozo. On the night that this was on the menu in the large restaurant, it seemed everyone ordered it! 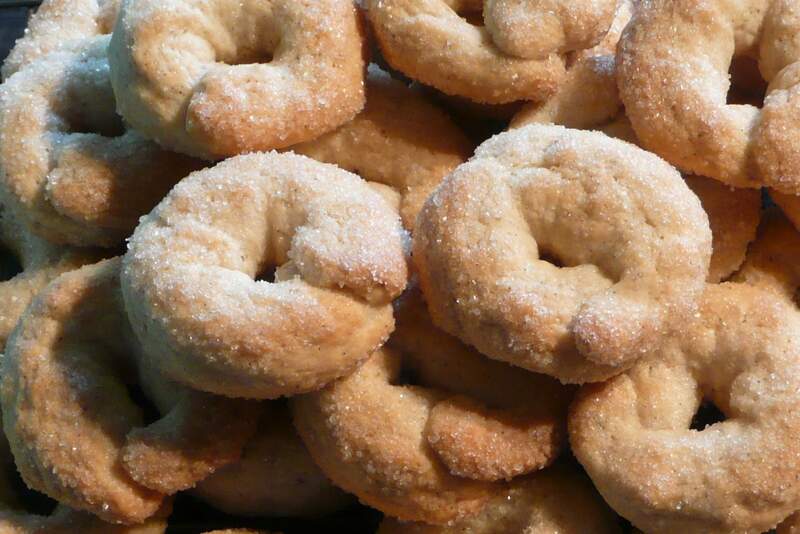 The starting point for this recipe was one for Ciambelline Elena in Biscotti. Those delicious biscuits are flavoured with aniseed, and also use wine instead of the milk I have used. As I also changed the proportions of some other ingredients, I was tempted just to present the recipe as if it was my own, but I am always happy to pay homage to my favourite biscuit book. Thanks Barbara. It’s a great little book, and I keep meaning to write a review. I find it inspirational, but would have to add a note of caution. It’s full of mistakes (bad editing I suppose). So you have to have your wits about you when using it. Ma che bellezza questi biscotti signorbiscotti 🙂 il tuo blog, più lo guardo, più mi piace! Non sono ancora riuscita a spedire il tuo premio….. lo farò la prossima settimana ok? Grazie Batu’. Per favore, non ti preoccupare per il premio. 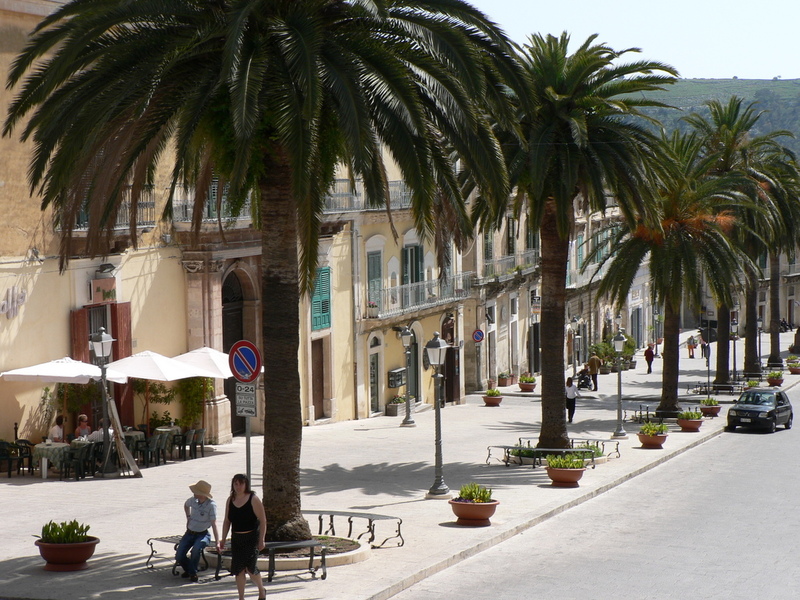 Quando arriva, arriva 🙂 Sono gia’ contentissimo del solo essere premiato! excellente recette mais il faut mettre bp plus de cardamomo. Grazie! On the subject of cardamom, “Chacun à son goût”, as we English say 🙂 I like a hint of cardamom rather than a powerful hit, but if you like more, feel free to add more. Yet again, another fine recipe – and I would agree that you have departed so far from the source that this should really be classed as your own creation 🙂 The cardamom received rave reviews and was preferred to the fennel seed version (tho’ I sometimes wonder if using a different type of fennel seed would capture whatever it is I fail to capture at times). Thank you for your kind words. I do love the aniseed version, made with wine rather than milk. It has to be the green kind of aniseed (tiny seeds) though, rather than the star variety.I think wild fennel seeds could be used, and may indeed have been used in the original of this recipe.Wild fennel is easily found in some parts of Italy, but not in the UK, and the seeds are much smaller than the ones we get here.